People and groups go uncounted for reasons of power: those without power are further marginalized by their exclusion from statistics, while elites and criminals resist the counting of their incomes and wealth. As a result, the pattern of counting can both reflect and exacerbate existing inequalities. The global framework set by the Sustainable Development Goals will be more ambitious, in terms of both the counting and the challenging of inequalities, than anything that has gone before. This article explores the likely obstacles, and the unaddressed weaknesses in the agreed framework, and suggests a number of measures to strengthen the eventual challenge to inequalities, including by the promotion of tax justice measures. While the whole edition just came out, it is technically the 2014 volume. The majority of the papers are drawn from the Pan-African Conference on Tackling Inequalities in the Context of Structural Transformation held in Accra that year, and include some cracking contributions – not least important papers on gender inequality, sustainability and disabilities, as well as broader pieces on the economics and politics of inequality. Check out the full table of contents. 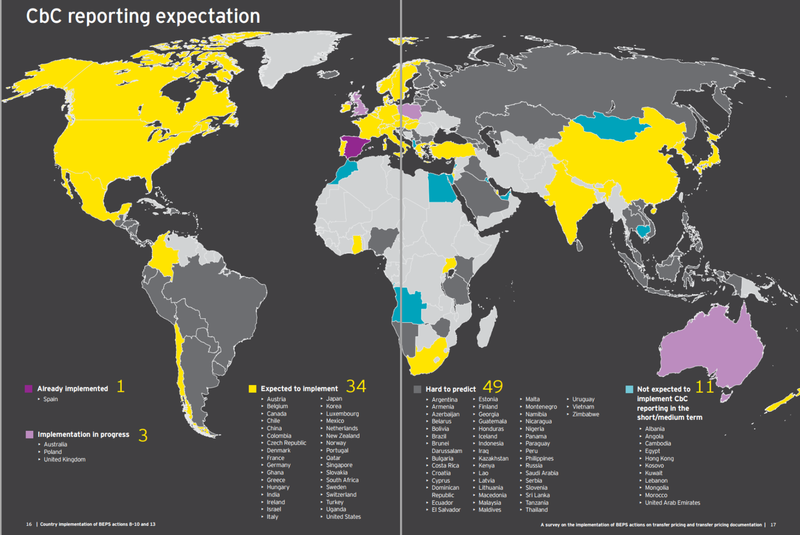 OECD country-by-country reporting: Only for the strong? The governments of G8 and G20 countries gave the OECD a global mandate to deliver country-by-country reporting, as a major tool to limit multinational corporate tax abuse, and with particular emphasis on the benefits for developing countries. New evidence shows that – even before its implementation – the OECD standard is likely to worsen existing inequalities in the international distribution of corporate taxing rights. That is, OECD country-by-country reporting may be so skewed that it will strengthen the relative ability of its rich country members to tax multinationals, at the expense of developing countries. ‘Uncounted‘ is my shorthand for the view that who and what get counted, or not, is both a driver and a reflection of power inequalities. The failure to count marginalised groups reflects their lack of power, and also undermines the prospects for the inequalities they suffer to be addressed. The failure to count powerful groups – say, the income and assets of the top 1% – reflects the extent of their power, and also undermines the prospects of challenging the inequalities they benefit from. The requirement for country-by-country reporting (CBCR) by multinational companies should be a paradigmatic example of transparency for accountability, where openness becomes a tool for meaningful challenge to injustice. The Tax Justice Network has taken CBCR from the practically unheard of in 2003, when we began to develop a detailed proposal with Richard Murphy around the time of our founding, to the global policy agenda when in 2013 it formed an important part of the workplan for both the G8 and G20 (see film at 2 min 50 in particular). The case for CBCR is that it provides additional, public information on the location of the activities of multinational companies, in order to improve accountability in a range of ways. First among these is tax. Multinationals can be held to account against the global aim of improving the alignment between where their economic activity takes place, and where taxable profit is declared. Openness of CBCR to tax authorities allows measures of misalignment to be easily calculated, in order to identify the major tax risks. Openness of CBCR to the public allows media and civil society activists to hold tax authorities to account; and allows investors and market analysts to identify share prices risks and so price multinationals more efficiently. In this way, public CBCR is a transparency measure that genuinely shifts power, and drives greater accountability in multiple channels. Sadly, the OECD approach demonstrates just how the undermining of a transparency measure can exacerbate inequalities and weaken accountability. First, the power of lobbying saw the idea of public reporting knocked on the head – so at least in the OECD standard, there’s no commitment to allow investors, analysts, journalists or activists the opportunity to hold multinationals accountable. Second, things went even further into reverse when the OECD agreed – almost unbelievably – not to support individual tax authorities asking for CBCR from multinationals operating in their jurisdiction. Think about that for a moment: so successful has been the lobbying against potential accountability, that something tax authorities could have done unilaterally before the OECD got the CBCR mandate, would now be seen as counter to the international standards. Instead, tax authorities of host countries are expected to apply for the information to be provided by the tax authority of the home country – if the latter has it, if there is an information exchange protocol in place, if the host country has committed to confidentiality (no way back into public openness here). And now accounting firm EY has published the results of a survey on implementation of CBCR. The new evidence appears to confirm strongly the fear that each watering down of CBCR at the OECD will be to the detriment not only of openness and accountability, but also to the taxing rights of non-OECD members. The full report (pdf) is well worth reading. Most striking visually (and a big tip of the hat to Christian Hallum at Eurodad for this) are the two maps that summarise key findings. 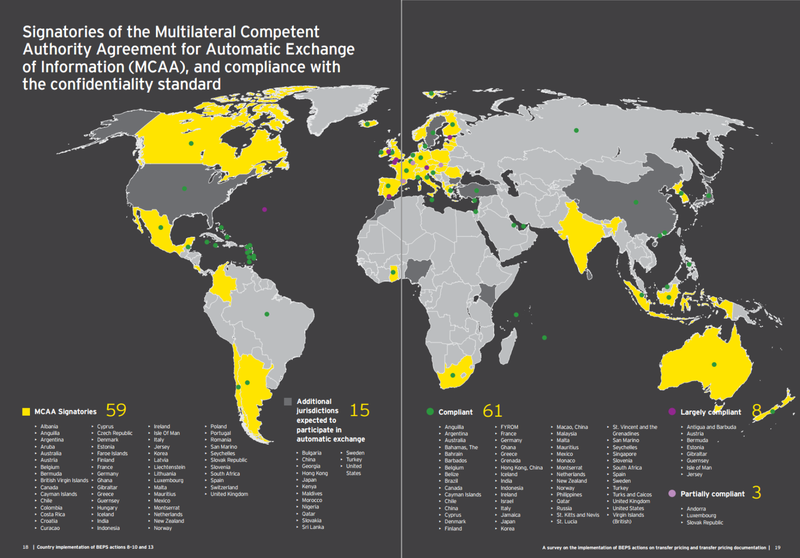 The first map shows where OECD CBCR is expected to be implemented in the short/medium term. As you might expect, given the global distributions of tax authority capacity and of multinational company headquarters, implementation is expected in almost all OECD members (see figure also); and in barely any non-OECD members. Countries that underwent the “peer reviews” of the Global Forum on Transparency and Exchange of Information for Tax Purposes (as of 1 August 2015) and were found to be “compliant,” “largely compliant” or “partially compliant” with the confidentiality standard. While there are interesting variations, and some developing countries do stand to benefit, the overall picture is a depressing one. The most recent IMF research suggests that the impact of multinational avoidance on revenues is around three times as high for developing countries (the authors provide an ‘illustrative calculation’ of 1.7% of GDP) as it is for OECD members (0.57%). In general, the approach to CBCR will ensure better information on multinational tax risk for the richer countries, mainly OECD members. Now in this case, there can be no doubt that information is power. As a result, the major inequality in the distribution of taxing rights between countries rich and poor is likely to be exacerbated by OECD country-by-country reporting. Consider two more positive points. First, the widespread adoption of OECD CBCR among jurisdictions where most multinationals are headquartered means that questions of compliance cost should be behind us. Where, we may now ask, are the transparency champions? Which multinationals will step forward, and lead their counterparts by making public their data? With carrots like the Fair Tax Mark available… Watch this space. And second, there are active processes in a range of jurisdictions including the EU, to determine whether to make their CBCR fullly public. Given the failure of OECD CBCR to level the playing field – in fact quite the reverse – the only way to meet the G8 and G20 commitment to developing countries is for them to require public CBCR. Once again, transparency champions will be required to lead the way. Facing an opposition newly seized of the tax justice agenda, might the UK government follow through on its 2013 leadership? Uncounted: has the post-2015 data revolution failed already? This was originally posted at the Development Leadership Program. I’m grateful to Cheryl Stonehouse for patient(!) editing. What we measure affects what we do; and if our measurements are flawed, decisions may be distorted…. [I]f metrics of performance are flawed, so too may be inferences we draw. The UN Secretary General was told two years ago by the 2012–13 High Level Panel of Eminent Persons on the Post-2015 Development Agenda that any follow-up to the Millennium Development Goals (MDGs) had to include adata revolution. In common with the UN global thematic consultation on inequality earlier in 2013, the High Level Panel recognised that challenging inequalities and better data collection are inextricably linked – because better data make it clear which goals are and are not being met, and because with better data we can all demand answers and action. So the data revolution can only be about changing the balance of power. Yet much of the current discussion emphasises purely technical reforms instead. I use the term ‘Uncounted’ to describe a politically motivated failure to count that reflects power. It ignores people and groups at the bottom of distributions whose ‘uncounting’ adds another level to their marginalisation. It ignores people at the top whose uncounting hands them even greater power. Why do we fail to count well at the bottom? 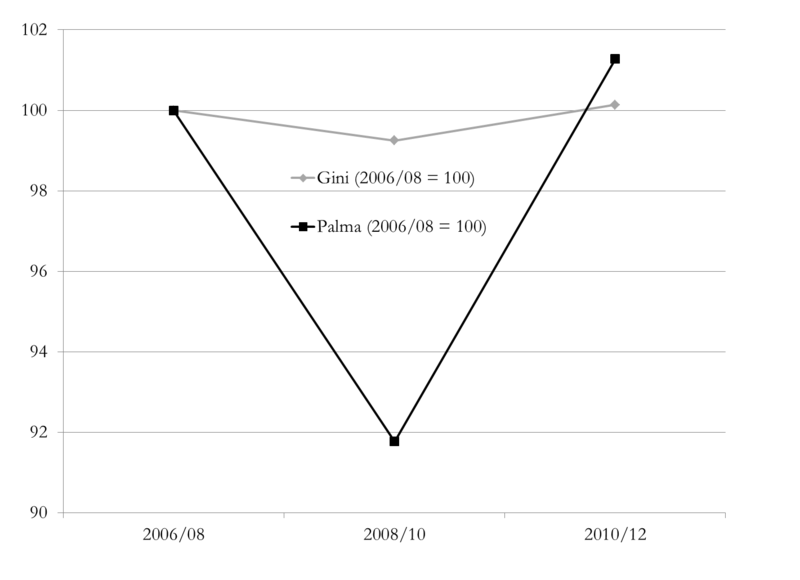 This figure shows three different series for primary school enrolment in Kenya. One comes from the Kenyan National Bureau of Statistics (KNBS); one from the Demographic and Household Surveys (DHS); and one from the Ministry of Education (MOE). MOE data come directly from schools and are used as the basis for funding decisions. 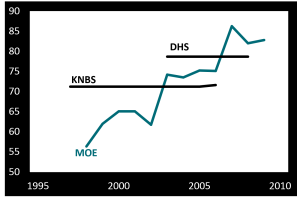 Now, MOE trends tell you that progress is rapid and unsustained, while surveys look static. Which do you believe? If your children are in Kenyan state education, how well counted do you feel? Not that survey data are perfect either. Six groups are systematically excluded from most household survey and census returns. Excluded by design are the homeless, those in institutions and nomadic populations. Ignored by undersampling are those living in fragile, disjointed households, in areas facing security risks and in informal settlements. These groups, thought to amount to around 250 million uncounted people – roughly 3.5% of today’s global population – obviously contain a disproportionate share of the world’s poorest people. They are being systematically failed even in the ‘best’ counting approaches we have. It’s no coincidence that people in poverty are excluded. Nor is it because of technical problems that Sudan’s government in Khartoum suppresses publication of data on regional development outcomes. Or that the deaths of those living with disabilities in the UK go uncounted. As for counting at the top, it’s equally no coincidence that high-income households are undersampled in surveys. Or that even when tax data are used to adjust the picture, major wealth – $8 trillion? $32 trillion? – remains uncounted. Or that the OECD, charged with measuring the ‘misalignment’globally between the profits of multinational companies and the actual location of their economic activity, has so far been unable to lay its hands on the necessary data. Our choice of measure is also important – and also political. Take a look at this chart which shows how two measures, the Gini coefficient and the Palma ratio, come up with radically different answers to the same question about income distribution. Has UK wealth inequality been flat across the crisis? Or did it fall sharply, then immediately rebound even more dramatically? The Gini coefficient embodies such strong normative views (pp. 129–144) that it doesn’t capture well changes in the top 10%, or in the bottom 40% where most poverty lies. It is very encouraging (to me!) 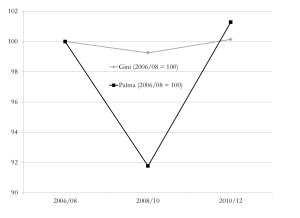 that instead the Palma ratio has featured in recent drafts of the post-2015 indicators. The Palma – which expresses the ratio of income shares of the top 10% to the bottom 40% – also embodies a normative view, but it’s absolutely explicit about it. The chart of UK wealth distribution across the financial crisis shows why the Gini gave rise to so many congratulatory headlines about stable inequality, and why they’re wrong. What might an actual ‘data revolution’ look like? If there’s no recognition of the political nature of the problem, then we’d be fooling ourselves to expect any great change: the same people and the same things will continue to go uncounted. What’s noticeable in the discussion so far is that there has been a great deal more attention paid to the uncounted at the bottom than at the top. There’s been precious little mention of Piketty’s proposal for a global wealth register, for instance, or of specific measures that would eliminate anonymous company ownership, require states to exchange tax information with each other (think SwissLeaks), or multinational companies to publish country-by-country reporting (think LuxLeaks). Yet if we don’t start counting things that make elites uncomfortable, then we’re not doing it right. Data reforms are, broadly, welcome; but a revolution remains far off. People and things go uncounted largely for political, not technical reasons. That’s why a data revolution is so badly needed. And revolutions aren’t technical: they’re political. Measuring tax avoidance: What data for BEPS 11? 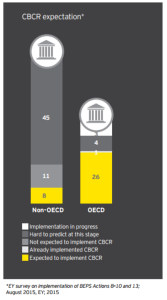 The OECD has a mandate from the G8 and G20 to measure and track the extent to which the profits of multinational enterprises (MNEs) are ‘misaligned’ with the location of their real economic activity – Action Point 11, out of 15, of the Base Erosion and Profit Shifting initiative, or BEPS 11 if you will. Now BEPS 11 is not only the top action point for geeks. It may also be the most important overall. Other BEPS measures can change the dynamic in a particular part of the problem of applying international tax rules. Some of those changes will reduce avoidance over the medium-term. And some may even benefit lower-income countries outside of the OECD, to some extent at least. Regional and national BEPS patterns, i.e. 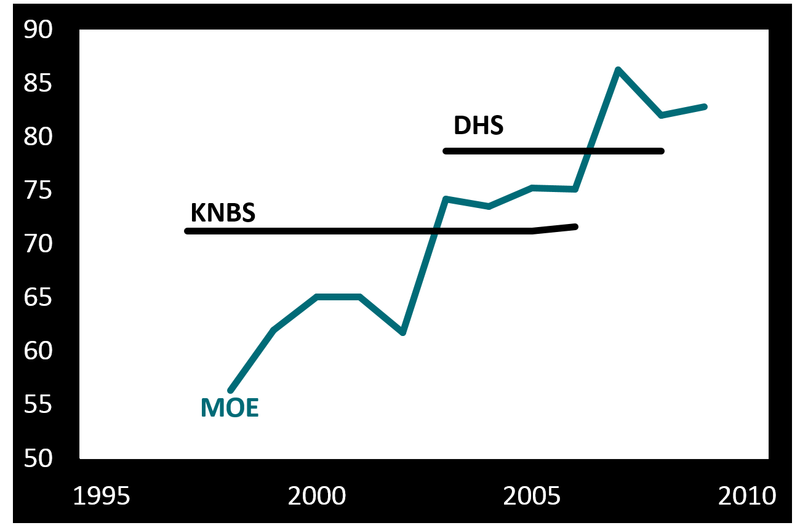 which countries receive disproportionately large or small shares of the MNE tax base – and how this is changing over time. This is Uncounted‘s type of data – not transparency for its own sake, but transparency that shifts the balance of power. In this case, OECD country tax authorities can, and quite often do, demand sufficient data to see their piece of the story. The biggest shifts in power if this data was made available would be (i) from MNEs to tax authorities in lower-income countries, that have not hitherto been able to make such demands; and (ii) towards civil society, who have not to this point been able to hold MNEs or tax authorities fully responsible, because of a lack of public information. Additional benefits would be for all tax authorities (and national civil society) to compare their own performance with others globally; and for MNEs to do the same. The new OECD discussion draft on BEPS 11 covers a lot of ground. It surveys the academic literature (as reviewed here), including kind treatment of some of our work. It sets out some potential BEPS indicators. In both cases, the results are somewhat hamstrung by currently available data. The most exciting discussion is of course on the data itself. And as the response of the BEPS Monitoring Group (to which I contributed) shows, the OECD document really has only one logical conclusion: country-by-country reporting data offers the only serious prospect of creating a baseline on the extent of BEPS, and of tracking it consistently over time. Thorough, timely or comprehensive analysis of BEPS is currently not possible due to data limitations. The discussion draft provides a very useful discussion of data sources and methodologies and rightly concludes that availability of comprehensive and reliable micro data is a major constraint. Additional disclosure requirements for MNEs are crucial to ensure that such data become available. The same applies to bilateral macro data; these require primarily an effort by governments to collect and report better statistics. Enhancing possibilities for analysis of BEPS requires revisiting the implementation of country-by-country reporting requirements under Action 13. We understand that the OECD is committed to ensure that the final set of BEPS Actions, to be presented towards the end of the year, will be a coherent package. There is an urgent need to enhance coherence between Action 13 and Action 11 in the final package. We discuss this in more detail below. Now there is a possible halfway house. If policymakers are committed to progress against BEPS, but for whatever lobbying reason cannot accept public country-by-country reporting, then this is the get-out. In our previous submission we already mentioned second-best alternatives, such as storing all country-by-country reporting data in a secured central data system. Staff from the OECD CTPA, IMF FAD, UN Tax Committee, regional tax forums and external researchers could then have full access to all micro data, bound by confidentiality agreements, and be able to publish partially aggregated statistics. It is worrying that the February 2015 guidance on implementation does not even provide for second-best approaches to make the data available to researchers. If some countries continue to block the OECD and G20 from endorsing public country-by-country reporting, the OECD should urgently work on a second-best approach. Otherwise we’d be accepting the failure of BEPS 11 – and with it the failure to demonstrate any progress of the whole BEPS initiative. Not to mention that all the CbC compliance costs still be incurred, while we leave all sorts of potential benefits on the table. So it’s very welcome indeed to see the OECD draft appear to point to the inescapable logic of using CbC data. But it’s also noticeable that they stop short of an explicit demand of this type. So we may assume the politics remain tricky, even if the logic is clear. Update 13/05/15: the public comments on BEPS 11 have been published. Many, including from business, raise interesting questions about specific possible BEPS indicators – a subject to which further attention will be given, not least when some new work on misalignment is ready in a month or two. These documents should provide tax authorities with significantly more information that they currently possess and therefore we would suggest that analysis is also carried out on the new information that tax authorities will have to monitor BEPS before any additional burden is created for business under this Action. The country-by-country report will require that MNEs gather information of a type and in a manner that it are not required for any other accounting or tax purpose. The master file/local file framework for transfer pricing documentation will require extensive quantitative and qualitative information about the MNE group and about the individual entities in the group. We would urge that the OECD look first to the data that will be collected through this new information reporting before considering any new reporting requirements. ‘Moreover, the compliance burden on multinational corporations will increase significantly with the new country-by-country reporting and master file transfer pricing documentation contemplated under BEPS Action 13. We do not believe further additions to the reporting requirements for corporate taxpayers should be the answer. Rather, we believe it is important for tax authorities to work together to share the information that already is provided and, as the Discussion Draft notes, to use the available data more effectively. One key use of the available data is to better measure the incidence of BEPS. Last week’s UK election produced a majority for the centre-right Conservatives – a majority of parliamentary seats, that is, albeit with 36.9% of votes. a return to Labour’s crisis-inducing economic incompetence (despite a fairly broad expert and academic consensus that Labour’s economic policy before and through the crisis was pretty reasonable; and that the the 2010 coalition’s austerity measures, largely abandoned in 2012, were a triumph of ideology over economic commonsense, with predictable macroeconomic and human costs). Much has been written, and much more will be, on the reasons for the framing success – including the breadth of media support for a Conservative victory, and not unrelated, the ‘mediamacro myths‘ per Simon Wren-Lewis that ensured popular perceptions of economic (mis)management remained far adrift of expert analyses. The campaign featured more heat than light on the impacts of austerity, and the related inequalities. Everyone said they’d reduce tax avoidance, some said they’d reduce tax evasion, but there was barely a specific policy proposal among the lot. 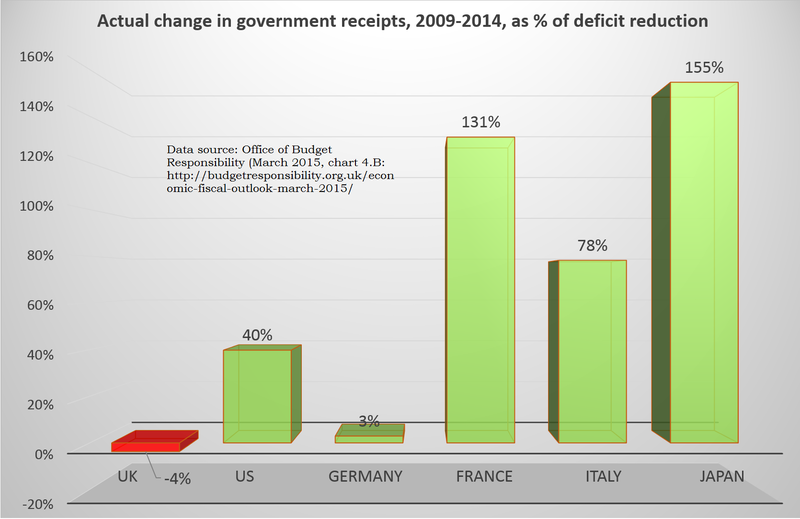 Nobody mentioned that the 2010 UK government had been the only major economy to cut tax during austerity – so that spending cuts were, uniquely, greater than the deficit reduction that was achieved. 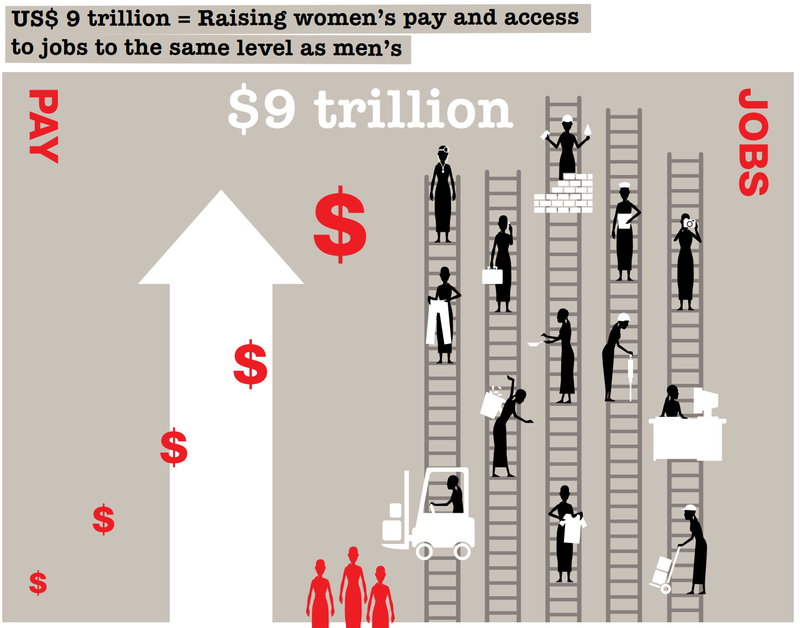 In terms of either broad inequalities (e.g. income and wealth), or specific ones facing marginalised groups such as people living with disabilities, the campaign featured little in the way of detailed discussion. Jim Coe has written a typically thought-provoking piece on the challenges facing broadly progressive activists in the UK now. Advantaged groups – such as small businesses, or homeowners – are treated with respect and perfectly placed to receive policy benefits. Contender groups – such as some in big business (bankers etc) – are not seen so positively. 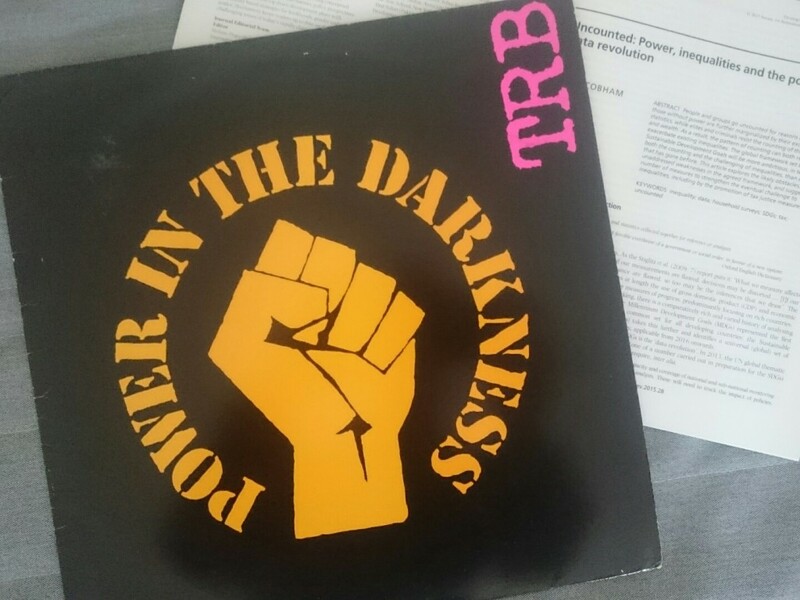 But, because they are powerful, they can gain hidden benefits whilst resisting attempts to impose policy sanctions. Dependents – groups who require some kind of support, students, workers on low pay – are seen generally positively but lack political power. They may be viewed as ‘good people’ but the support offered will often be inadequate, and they lack the influence to make enhanced claims. 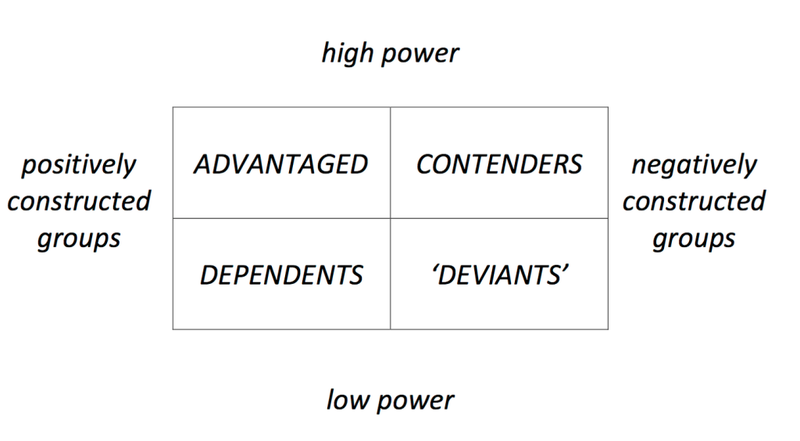 ‘Deviants’ both lack power and are negatively perceived. The list of groups who fall in this category seems to be ever-growing. Criminals, drug users, and, increasingly, many migrant groups, and families in poverty, etc. etc. Few speak on their behalf and policy makers are reluctant to be seen providing ‘good things to bad people’. Jim’s post is well worth reading, as he builds from here to discuss the ways in which positions can be self-reinforcing over time, and what the strategies may improve the prospects for reversal or resistance in particular aspects. I want to make a comment and a proposal. There is presumably always pressure, in the model above, to squeeze those in the low power group deemed deserving of policy support, into the undeserving group: in the model’s terminology, to see dependents increasingly as deviants. In the context of a commitment to austerity – whether economically sensible or not – there is a specific need to reduce the total of policy support, potentially giving rise to a political climate which sets those with power (more) strongly against those without. 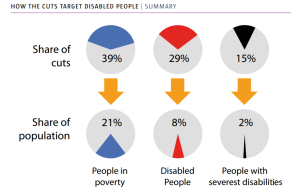 In the UK the growth in abuse directed at people living with disabilities, including learning disabilities, is a particularly damning feature of this trend – along with the disproportionate cuts in benefits applied. The rise of explicitly anti-immigrant positions across the major political parties is another. 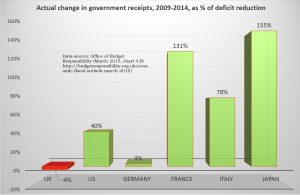 A flipside of this that one might expect to see is a (quiet) reduction in the fiscal contribution of those with power – perhaps explaining the UK’s real reduction in tax revenues, though not necessarily why the UK is an international outlier in this regard. The incoming government has committed to sharper cuts than it managed in the previous parliament: with a similar revenue trajectory, the risk is of a significant worsening in inequalities, and the weakening more generally of the state’s capacity to deliver support to ‘dependent’ groups. Finally, Jim’s model provides one more way of thinking about the phenomenon of Uncounted (the importance of power for being counted, and vice versa). This last parliament has seen some fairly striking uncounting – none more so than the decision to stop collecting statistics on the deaths of those receiving certain benefits, but the continuing failure to implement fully the government’s own review recommendations about statistics on lives and deaths of people living with learning disabilities should not be overlooked either. Failing to count bad group outcomes represents a substantial worsening of the inequalities faced – but often a politically beneficial one for governments. Without getting into party political issues of leadership direction, are there reasonable measures that would support greater accountability to limit damaging inequalities in the current parliament, and promote greater attention to these issues in future political debate? The one that springs to mind is simply to track the data – its existence or otherwise, and its values where it does exist – on each of the major inequalities in the UK. The suggested targets are bold, yet practical. Like the MDGs, they would not be binding, but should be monitored closely. The indicators that track them should be disaggregated to ensure no one is left behind and targets should only be considered ‘achieved’ if they are met for all relevant income and social groups. We recommend that any new goals should be accompanied by an independent and rigorous monitoring system, with regular opportunities to report on progress and shortcomings at a high political level. We also call for a data revolution for sustainable development, with a new international initiative to improve the quality of statistics and information available to citizens. A tracking and ongoing analysis of changes in that data and its availability over the course of the current parliament (and ideally beyond). Naturally, this would be a fully open data pie in the sky, and ideally one or more groups like Open Knowledge Foundation would play a role too. Base erosion and profit-shifting: What do we know? The geeks’ Action Point of choice has always been number 11, which requires the collation of baseline data on how far profits are misaligned away from genuine economic activity: e.g. by being shoveled into tax havens where nothing really happens. Action Point 11 also involves continuous tracking of progress in this area. The team working on BEPS 11 has now published a discussion draft, which sets out not only their thinking on questions of data and measurement (check back later with the BMG for our response to these) but also a broad survey of the literature on the scale and channels of BEPS. There is broad consensus (regardless of time period, country or data source) that there has been widespread tax-motivated BEPS activity by multinationals — though the intensity varies. Transparency: evidence on the role of disclosure and transparency – i.e. measures such as BEPS 11 itself – is limited but striking. Most obviously, Dyreng, Hoopes and Wilder (2014) found that ActionAid’s revelations about FTSE100 companies failing to meet a rule on disclosure of subsidiaries resulted in greater disclosure, a reduction in ‘tax haven’ subsidiaries and a reduction in avoidance [Kudos to Actionaid!]. Developing country scale: only two studies provide a comparative assessment of the likely scale of BEPS in developing as opposed to higher-income countries. The first, by authors including long-standing critics of NGO estimates in the broad area, finds that profit-shifting (in this case, only that of German multinationals and via debt manipulations) is roughly double the size in developing countries. The IMF, meanwhile, recently presented evidence that the revenue losses of developing countries may be several times higher than elsewhere (as a share of corporate tax revenue). To this we might add, in the spirit of Uncounted, that current data availability has “non-random weaknesses” which will systematically result in disproportionately lower tax revenues in lower-income countries. BEPS 11, if it delivers that comprehensive data, might just be the greatest contribution to fairer international tax that is compatible with the insistence on separate accounting.